In the Nathan Brotherhead film and recording studio service users get an opportunity to work with different forms of electronic media. State of the art cameras for are used for film and photography projects. 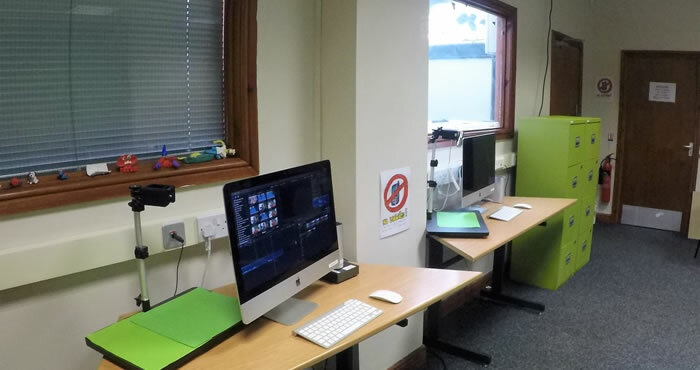 Apple Mac computers equipped with professional media software can then be used to edit these films to create special effects such as chroma key green screen), or add sound effects or music. 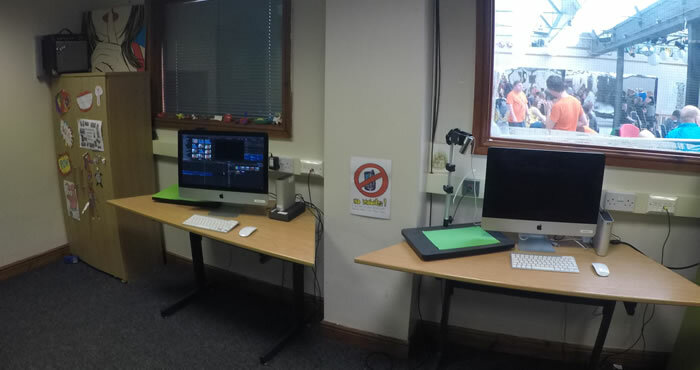 There is also a fully equipped recording studio where service users can be creative, writing and recording songs, which can then be added to film projects. 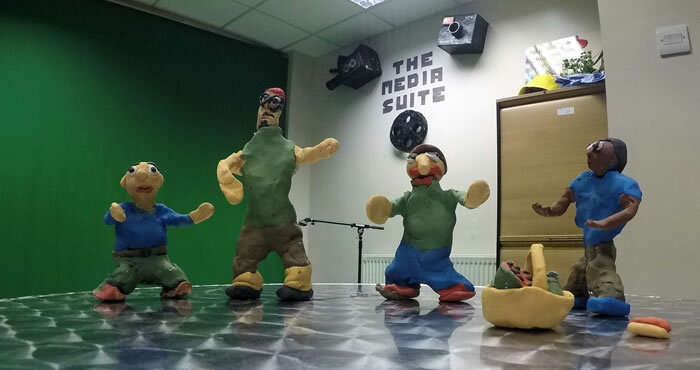 The film suite also includes stop-frame animation facilities where service users can create their own animations. 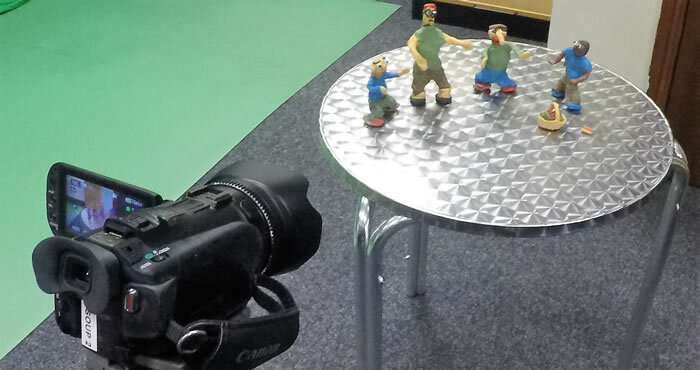 To date, service users who participate in workshops in the Nathan Brotherhead studio have produced film trailers, news reports, music videos, and animations. There are plenty of opportunities for participants to express ideas, learn new skills, and work closely with others in groups of around 4-6 people.